Notaries are not permitted to determine a deed's correctness, but they can analyze the contents relating to their certificate and refuse to acknowledge anything that fails to meet the standards. Because notaries play such a significant role in legal documentation, we might expect training and supervision in line with their responsibilities Notaries and deed forgery , but this is not always the case. Instead, the rules for non-attorney notaries vary. Authorized notarial acts may also differ from one state to the next. Some states demand classes, tests, and continuing education while others only ask for a completed application and a payment. A criminal record is not an automatic disqualification in every state. (This detail is surprising, especially in light of the topic at hand.) Notary bonds and journals are not always required. For example, both new and renewing Pennsylvania notaries must complete three hours of coursework per term, maintain a journal of notarial acts, and keep a $10,000 notary bond (57 Pa. C.S. Chapter 3). Contrast this with neighboring West Virginia, which has no such obligations for its notaries (West Virginia. Code 29C). All notaries are expected to know and understand these and any other locally specific rules. Verifying the information's authenticity prior to performing the notarial act is supposed to safeguard all parties, and render the instrument eligible for recording. Because we place so much trust in notarized documents, such as deeds, it comes as a surprise when we learn about notaries who participating in dishonest activity. When a deed contains forged signatures, the notary may or may not be involved. As accomplices to the fraud, they might notarize a document containing a signature they know is faked. They might also facilitate fraudulent transfers by disregarding irregularities that should lead to a refusal to certify. For example, notaries must actually watch the signer execute the document -- acknowledging a signature without witnessing the signing is a direct violation. The forgery may also take place without the notary's active participation. For example, the fraudster might use a stolen or counterfeit notary stamp/seal. Another common trick involves using an "island" notary page in a multiple-page document: the acknowledgement form is presented separately from the actual deed document and contains little or no reference to the property being transferred or the parties named in the conveyance -- it is effectively meaningless. Once the document is notarized, the main deed form is replaced with a fraudulent one. Alternately, someone presents an "island" notary page by itself, with no related document, and expects the notary to acknowledge the signature. Require positive identification of signatories. This is already law in most jurisdictions, but it bears repeating. Possible deterrent because it might make prosecution easier, especially if the criminal already has a record. Refuse to notarize documents with island notary pages. Require signatures and acknowledgments on the same page. Ensure that the parties' names and property information are consistent throughout the document. For multiple-page documents, require consistent, sequential marks (i.e. initials, numbers, stamps) on every page of the document being notarized. Verify correct acknowledgment for situation (individual, corporate, etc.). Corporate officers must provide proof of position within company. Add a statutory requirement for all notaries to maintain and routinely upload a log/journal. Many states direct, but do not always require by statute, each notary to maintain a journal of notarial acts that might include details such as the type of document, signer's name, type of identification, and signing date. In states where sequential journals are not required, dishonest notaries can simply deny that they participated in a questionable transaction. What is an appropriate frequency? Yearly, quarterly, monthly? 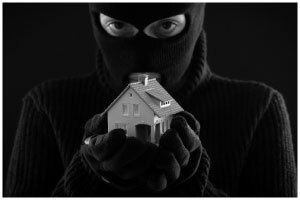 Notaries are the first line of defense against deed fraud. Most are honest and take their responsibilities seriously. For them, tighter regulation will likely amount to a slight inconvenience. For the dishonest, however, stricter guidelines, rigorous enforcement, and harsher penalties might change their minds about participating in illegal activities.